I'm Salked....and I'm liken it!!! 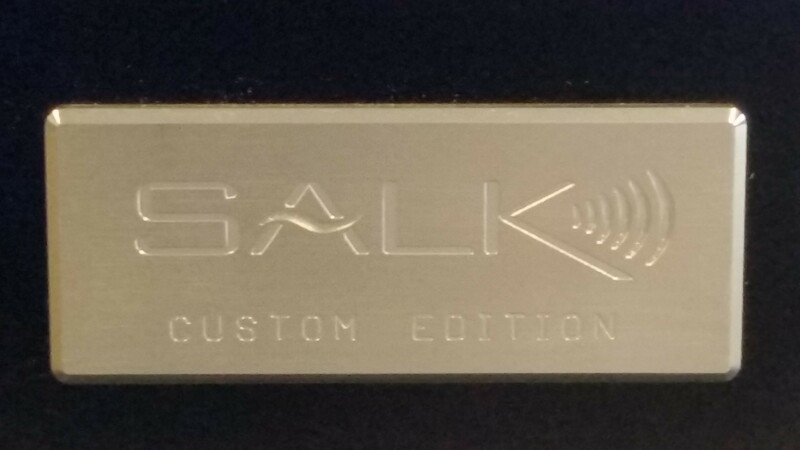 Well, I have found a pair of Salk SoundScape 8's that I couldn't pass up. The price was right and the color was what I was looking for and approved by the wife. After listening to as many speakers I could in the past 2 years and missing a few opportunities, I jumped on these. After they arrived, I dialed in the placement and toe-in and left my room treatments in place. Here's my initial impressions: The SS8's provide a deep & wide soundstage and excellent imaging.....quite remarkable actually. The dynamics & detail are great and the driver integration is seamless. These characteristics sold me on these speakers. No matter what I play from my library these speakers spit it out and say "What's next". Track after track, they make good recordings sound great and mediocre recordings sound good. I wasn't totally expecting this. I guess I couldn't really ask for anything more. So far (at least my initial reaction), the SS8's have put the biggest smile on my face of any audio purchase that I've made. And I've found that it's hard to pull myself away from listening to them. You probably can tell, I'm very happy. Jim Salk can definitely make one hell of a speaker. Lookin' good there.....yeah, Jim boy makes a great speaker. Notice you have the Sonos hooked up to the W4S, you like the sound ? Thorton hears the Who! Like never before! Congrats! Congrats on your SS8's Mike! Still digging mine. Nice space you have there. Been a Salk fan for a while and it was cemented when he brought a pair of Exotica 3s to the Central Iowa Home Theater Crawl. It is amazing to listen to his "journey" and how a couple of decades ago he knew absolutely nothing about wood working and now has other manufacturers consulting them for finishes. Mary and Jim are 2 very down to earth people and she is an angel of a woman to be willing to pack up their SUV for a weekend in Iowa of all places. I am moving more and more towards a pair of Salks as my next speaker purchase and stories like these help solidify these sentiments. It also helps to have a pair of HT2s 15 minutes away that I can listen to whenever I want. Hehe. Congrats on the new speakers!! Tony, I do like Wyred/Sonos combo. Granted, I never did an external dac shootout. For me, the Wyred is fast, accurate, dynamic and detailed providing open clarity. A big step up from the Sonos or a typical AVR. The presentation is neutral....which I prefer and suits my system. I want to hear every detail, the separation of instruments, the decay of instruments, etc. and still sound great musically. The Wyred handles this with no problem. If I wanted to color the sound, I probably would look at something else. ZLTFUL, the SS8 vs Exotica, I believe, comes down to personal preference. Both sound great. 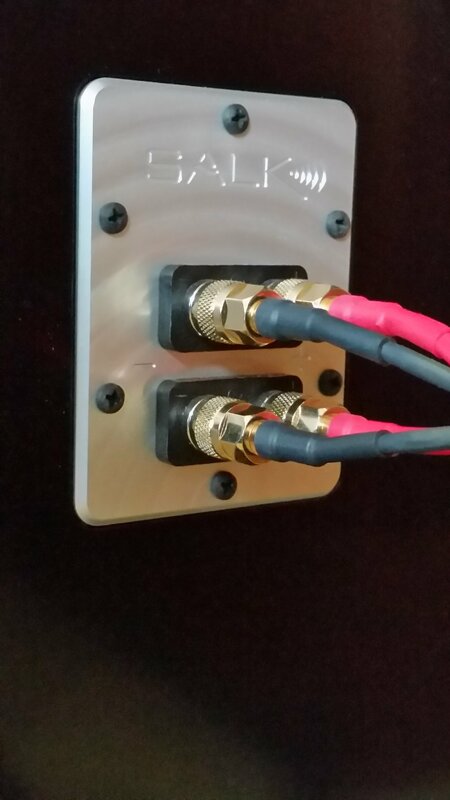 I like the raal tweeter and accuton midrange combo. I do have to put out a thanks to Rich (SComp) for his expert advice and answering of numerous questions. Thank you Mike! Happy to help out. The Exotica line started out as two way monitors and were well received. Even though the Exotica 3’s (three ways) ended up in the same type enclosure as the SS8’s (as opposed to the enclosure used in the first pair of Exotica 3’s demo’d), they are way different animals. 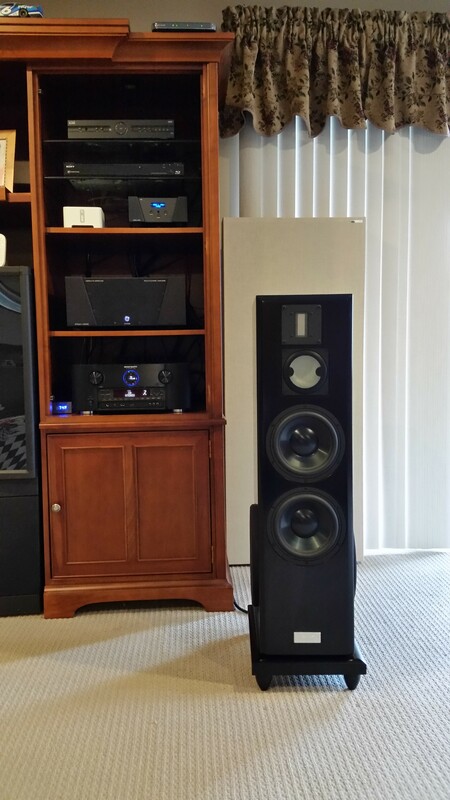 The Exotica 3’s pair the excellent SEAS Exotic T35 tweeter and W8 midrange that both use Alnico magnets. The SoundScape 8's use the RAAL tweeter, ceramic Accuton midrange and dual 8" ScanSpeak Revelators. The SS8's have the option to open the back of the midrange while the Exotica 3's is sealed. 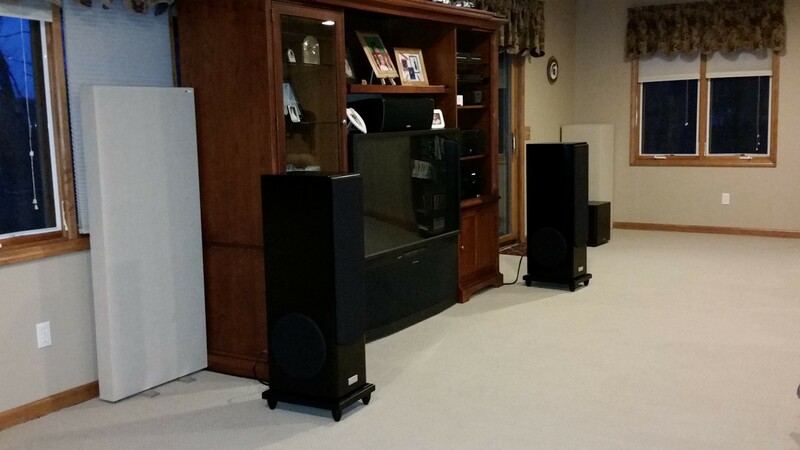 To keep Exotica 3’s efficiency at 92dB, the decision was made to go with a pair of powered Rythmik 8” servo woofers. If he went with the dual Scanspeak Revelators used on the SS8’s (87dB efficiency) the Exotica 3's efficiency would drop to around 83dB and the speaker would be harder to drive. Powered servo woofers could not be implemented with the SS8’s due to the higher crossover point of the Accuton mid driver. Some of the SS8 owners jumped to the Exotica 3's calling them better. IMO both speakers are detailed and revealing. I think they are just different in presentation and which do you prefer. The Exotica 3's can edge out the SS8’s with vocals and the bass does dig deeper (20Hz versus 25Hz). The Exotica 3's are also $4K higher ($12K versus $8K) in base price. If they were not factory direct, they would cost a bunch more. Set up properly and with good gear, the SS8’s are capable of disappearing with precise imaging, dynamics and a 3D holographic sound stage. I'm good with that. Service wise, Jim is among the best in my book. 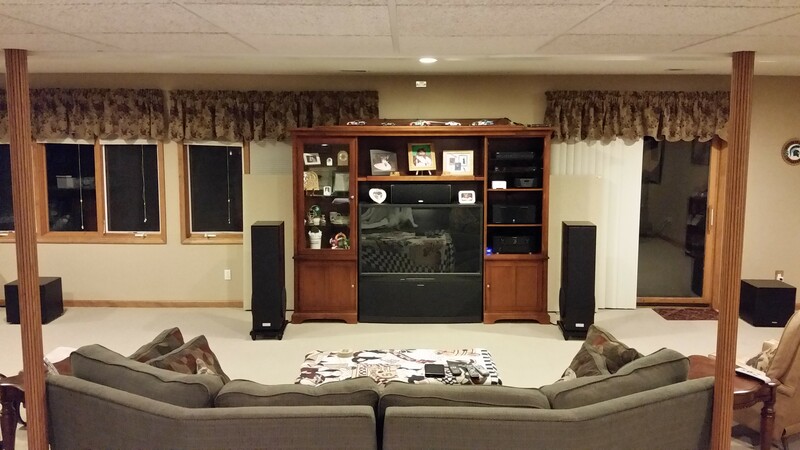 The first owner was downsizing and wanted smaller speakers. He dropped the SS8's off at Salk's factory and Jim posted the 4 sale ad on his site at Audio Circle. The wife and I loved the veneer used (an upgrade) so I bought them. Jim updated the xovers for me to the newest spec and repainted the plinths as they were scuffed up. He offered me a choice of spikes (he offers black and silver in two styles). He had them packed in new boxes. Instead of a birth certificate signed by Jim, Mary and crew like a new owner would get, I got an adoption cert signed by them all along with instructions for setup and a demo CD. They met me and the wife there on a Saturday and gave us a tour, including the veneer vault (some VERY impressive veneers there!). I received a demo of the speakers on display. I met two of the guys that built/finished my speakers. All in all a very pleasant day etched in my memory (despite the 13 hour RT) that I'll never forget. One more point you missed Rich, Jim Salk and his company are also great on Customer Service. Your relationship with the company doesn't end after the sale. Jim's a stand up guy doing business the old fashioned way, putting the customer first. Plus many may not know this, but he also bends over backwards to give you what you want. He will customize anything he can for you, build it your way if you want. A highly recommended company to do business with. Congrats on the SS8's bro.